Comfort, elegance and a beautiful sense of sadness seep through every frame of Luca Guadagnino's Call Me By Your Name. Which only makes us wish to stay with these sensually romanticized set of men, even longer. It is the type of romance that makes you want to believe in romance and a love story that carries that essential blessing out of every love story - self-growth. A film that dares you to desire about the things that matter. A true achievement. Adapted from André Aciman’s novel of the same name, a rather intellectual air fills up the Italian summers of 1983. In “Call Me By Your Name,” we see the world through Elio’s (Timothee Chalamet) eyes. A set of eyes that are still getting used to the magnetic beauties of the world. Like the butterfly that has just started to flash its wings, Oliver’s mere presence has made him fly in different directions. The passionate, sensual and ripe celebration of love that is about to follows is one of a kind, real and enchanting. One that transcends the sexual-dynamic at its center by being truly universal in its retelling of life-altering love stories. The moment you catch glims of Oliver (Armie Hammer) you see that his confidence even precedes his physicality. Along with Elio, the audience develops a crush on him. The secret love is, however, a mystery to Elio who is just getting into the ball-game. At 17, his talents and persona precede his age too. Which makes the romance between these two distinctively well-read, self-aware and charming people even more fulfilling. Guadagnino devises his film to act like a testament to the first love. The initial arrogance and jealousy when the crush is just a crush have been shown with such elegance in the film that you can’t help but wonder if it comes from a very personal place. As Elio shows Oliver around, his ‘Later’ makes him spite him. He finally accepts Oliver’s intelligence when he catches him playing various variations of Bach. Sparks start flying as Sufjan Stevens’s “Mystery of Love” fill up the house and Elio starts questioning his father’s advice. The historian gets his understanding of love, loss, and life from the various sculptures that he studies. In the process also giving as one of the best father’s in a film that we can truly root for. Behind all of Elio’s cool exterior lies an innocence that hasn’t really felt another mysterious element of love – i.e, the pain. The magic of this beautiful story lies in its understanding of pain. 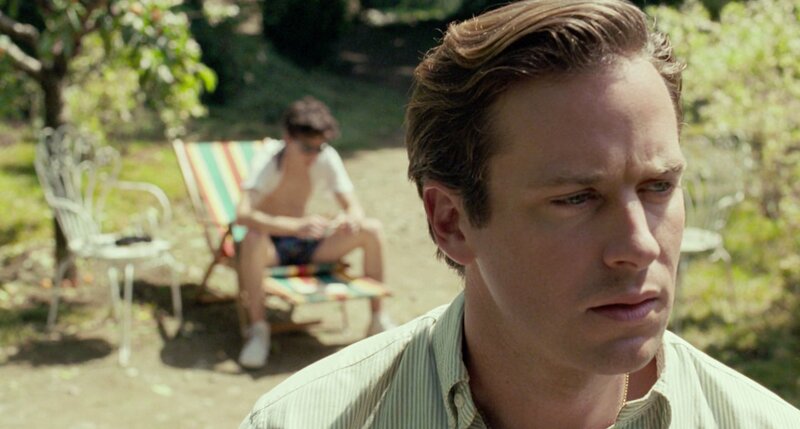 A monologue that comes from Elio’s father late into the film carries wisdom that needs to be heard by every single person who never really understood love. Gudagnino never manipulates his characters or his audiences because he knows that his film unfolds like a beautiful summer romance that knows the value of the shared door, the stolen kiss & the peach. The love feels truly real when Elio calls Oliver by his name. Another form of celebration that only lovers share and we are lucky enough to witness. Vacation homes are not a first for Luca Guadagnino. Last year’s “A Bigger Splash” had him swimming in the realm of adult sexuality, needy obsessions & insanity getting the better of people. 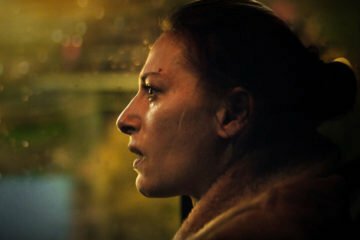 With his new film, he explores much of the same but in a very subdued and calm interior and exterior. His characters are still enigmas but are more layered, more subtle and more knowledgeable about their place in the world. Giving them a sense of immortality that is truly hard to gain when we have love-stories flowing out of every paper, every pen and every film. Comfort, elegance and a beautiful sense of sadness seep through every frame of Luca Guadagnino’s “Call Me By Your Name.” Which only makes us wish to stay with these sensually romanticized set of men, even longer. It is the type of romance that makes you want to believe in romance and a love story that carries that essential blessing out of every love story – self-growth. A film that dares you to desire about the things that matter. A true achievement. “CALL ME BY YOUR NAME” WAS SCREENED AT THE JIO MAMI MUMBAI FILM FESTIVAL, 2017. Screenplay: Luca Guadagnino, James Ivory, Walter Fasano, based on the novel by Andre Aciman. Director of photography: Sayombhu Mukdeeprom. Producers: Peter Spears, Luca Guadagnino, Emilie Georges, Rodrigo Teixeira, Marco Morabito. Production companies: Memento Films, RT, Frenesy, Water’s End.